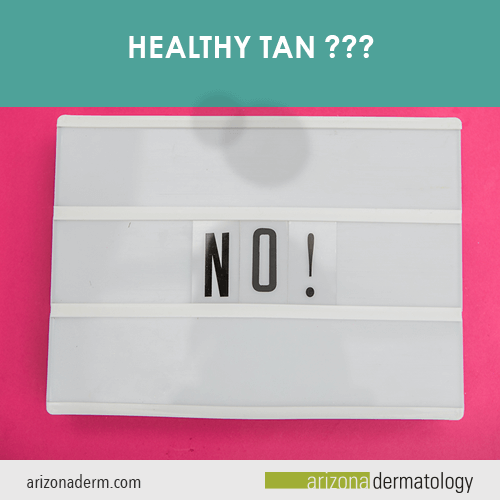 In Arizona, it’s often difficult to avoid unnecessary sun exposure; however, it is important for everyone to keep in mind that there really is no such thing as a “healthy tan.” Here’s why. You may have heard that tanning is your skin’s way of doing “damage control.” However, tanning is not a healthy response at all. In fact, melanin production is your body’s way of shielding you from further UV radiation damage. The dark pigmentation does offer an SPF of between 2 and 4 (nowhere near the bare minimum recommended SPF of 15); however, the current damage has already been done, and despite its minimal effect in protecting you, tanning still increases your risk of developing skin cancer. There is a fine line between tanning and burning, and even people who tan easily are susceptible to sunburn. As UVB rays penetrate the skin, they cause damage to the cells of the epidermis (the uppermost skin layers). The immune system responds by increasing blood flow to those areas, making them redden and grow warm to the touch. The damaged epidermal cells also release chemical signals that are translated by the brain as a burning sensation. White blood cells are launched to attack and remove the damaged skin cells, which is why sunburned skin itches and peels as it heals. Severe sunburn may cause blistering in addition to the redness and pain. A blistering sunburn over a large area of the body requires emergency medical attention, especially if the person develops a fever, headache and/or chills. Non-melanoma skin cancers (basal cell carcinoma and squamous cell carcinoma), as well as malignant melanoma, are all associated with sun exposure. Since we’re all exposed to the sun during our lives, anyone can develop skin cancer, but tanning and burning increase the risk significantly. 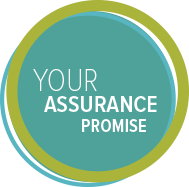 With about 3 million new cases of non-melanoma skin cancer and 91,000 new cases of melanoma being diagnosed each year in the U.S. (and that number is rising), it’s better not to take a chance. Between 9,000 and 10,000 men and women will die this year from melanoma. Even if you are cautious and don’t usually experience a sunburn, the damage to skin caused by sun exposure will cause your skin to age prematurely. While UVB rays burn skin, UVA rays penetrate more deeply into the skin, disturbing the connective tissue and causing the skin to gradually lose elasticity. This leads to wrinkles, bagginess, and sagging of the skin. The sun also dehydrates skin, giving it a leathery appearance. Solar lentigines, sometimes called liver spots or age spots, are also the result of sun exposure, and while these flat, oval patches of skin won’t harm you, they certainly can make you look older. As dermatologists, we have a term for the collection of sun-related skin damage that makes you look older than you should– photoaging. And it is more noticeable than you might think. One study in Japan compared the facial skin of women in the northern part of the country, which experienced less sun exposure, to that of women in the southern part of the country. Depending on the type of damage they were seeking to compare (for example, wrinkling or hyperpigmentation), the women in the north had skin that appeared between 8 and 16 years younger than the women in the south. Did you know that your eyes can get a sunburn, too? It’s called photokeratitis, and it is basically a sunburn of the cornea. Symptoms include tearing up, pain, swollen eyelids, hazy or poor vision and a sensation of sand in the eye. UV exposure may also increase your risk of developing cataracts. The World Health Organization (WHO) has published research linking UV exposure to immune system suppression, meaning that tanning may make it harder for your body to fight off certain diseases or infections. It is true that the body needs a certain amount of sun exposure in order to produce Vitamin D, which is crucial for bone health, immune function and blood cell formation. It is important to note that as little as ten to fifteen minutes of sun exposure on the face, forearms, and hands is sufficient to maintain healthy Vitamin D levels. If you have been diagnosed with a Vitamin D deficiency, it is safer to correct that deficiency through supplementation rather than to risk overexposure to the sun. If you like the look of tanned skin you are not alone; however, there are many other alternatives that are considered safe that can help you achieve the look you desire. So remember to keep your sunscreen handy and try to avoid unnecessary sun exposure—your skin will thank you for it.